Places you visit : Delhi, Samode, Nawalgarh, Mandawa, Bikaner, Jaisalmer, Jodhpur, Ghanerao, Ranakpur, Udaipur, Deogarh, Kanota, Agra. Trip Type : Cultural, Historical, Natural. 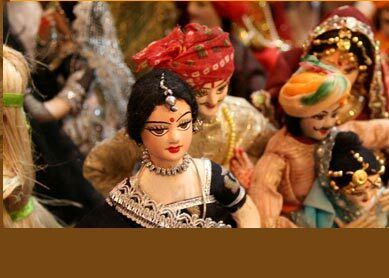 The 16 days Rajasthan Heritage Tour is all set to give your a wonderful vacationing joy. The tour covering popular historical destinations of Rajasthan and let you peep into its rich cultural and historical heritage, which make the state most visited among all other Indian states. Stay at many of countrys best heritage hotels are another reason appealing you to pick this tour, and enjoy discovering Rajasthan, the culturally affluent state of India. Day 1: Delhi-Samode. Arrive afternoon. Our representative will pick you at airport. From airport, drive straight to Samode (near Jaipur). Stay overnight at Samode Palace, one of the best Rajasthani heritage hotels of Rajasthan. Day 2: Samode-Jaipur-Nawalgarh. By afternoon, take sightseeing tour of The Pink City Of India  Jaipur, which includes visit to places like City Palace, Hawa Mahal, Jantar Mantar, Amer Fort and Nahargarh Fort. Later, drive to Nawalgarh, the heart of Shekhawati region. Stay overnight at famous heritage hotel, Roop Niwas Palace. Day 3: Nawalgarh-Mandawa. Drive to Mandawa. 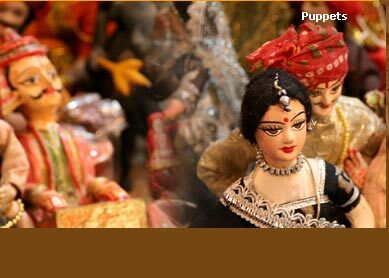 Explore this rich cultural location, which is said to be Open Air Art Gallery Of Rajasthan. Stay overnight at Mandawa Castle, a renowned heritage hotel. Day 4: Mandawa-Bikaner. In morning, take a jeep ride, and visit to local Mandawa villages. Later, drive for Bikaner. Overnight stay at heritage hotel, Lalgarh Palace. Day 5: Bikaner. Whole day sightseeing tour of this historical city include visit to famous places like Junagarh Fort, Bhand Sagar Temple, Jain Temple. Afternoon, visit to Camel Breeding Farm. Take camel ride. Overnight stay at hotel. Day 6: Bikaner-Jaisalmer. In morning, drive to Jaisalmer. Reach Jaisalmer afternoon, and check into hotel Rawal Kot. Evening at leisure. Stay overnight at hotel. Day 8: Jaisalmer. 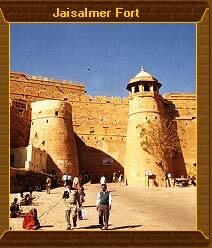 Full day sightseeing leads you to visit famous sightseeing spots like Jaisalmer Fort. Afternoon, take extensive Camel Safari tour in world famous Sam Sand Dunes of Great Indian Thar Desert. Overnight at hotel. Day 9: Jaisalmer-Jodhpur. Drive to Jodhpur after having breakfast at hotel. check into famous heritage hotel Sardar Samand at Jodhpur. Stay overnight there. Day 10: Jodhpur-Ghanerao. Visit to Mehrangarh Fort and Umaid Bhawan Palace, famous historical spots of Jodhpur. Later drive to Ghanerao, and stay overnight at hotel Ghanerao Castle. Day 11: Ghanerao-Ranakpur. Visit to Kumbhalgarh Fort in morning. Later, afternoon, drive to Ranakpur. Check into hotel Maharani Bagh, and stay overnight there. Day 12: Ranakpur-Udaipur. Take morning visit of many of Ranakpur Temples, for which the place is very famous. After lunch, drive to Udaipur, and check into hotel Shivniwas Palace. Day 13: Udaipur-Deogarh. By noon, enjoy sightseeing of The Lake City, Udaipur. Drive afternoon to Deogarh, and check into hotel Deogarh Mahal. In evening, trek in beautiful hills of Deogarh or visit to nearby tribal villages, and see their dance performance. Day 15: Kanota-Agra. From Kanota, you will drive to Agra, the land of Taj Mahal. Reach there by noon, and visit to famous historical monuments like Taj Mahal, Red Fort and Agra Fort. Stay overnight at hotel. Day 16: Delhi. Drive to Delhi in morning after breakfast. As per timing of your departing flight, we will transfer you to the airport to catch your flight . The high standard of royal hospitality at heritage hotels of Rajasthani act as creme-de-la-creme of your exploration of Rajasthan heritage. Your stay at popular heritage hotel like Samode Palace, Lalgarh Palace, Mandawa Castle, Roop Niwas Castle, Sardar Samand Palace, Hotel Maharani Bagh and Royal Catsle Kanota dating hundreds years back make your vacation wonderful. Experiencing the royal Rajasthani hospitality including world class accommodation and large range of cuisine is great holidaying experience. Exploring numerous of historical sightseeing spots like Jaipur, Bikaner, Jodhpur, Jaisalmer, Mandawa, Udaipur, Ranakpur, Kanota and Agra is tourists delight. Places rich in their historical monument possession keep you discovering fine blend of Mughal and Rajputana architectural glory. Besides, activities like Camel Safari at Great Indian Thar Desert, and natural sightseeing at Deogarh add heaps of excitement in your tour.